If you�Want to sell a vehicle for cash today, our�Car Wreckers Glenfield and Takapuna�Auckland team have you covered! We buy cars, trucks and light commercial vehicles for cash and offer free vehicle removal throughout North Shore Area,�Albany and the rest of the greater Auckland region. To get a cash quote and book a�removal by filling out Instant Quote online form on your right hand side or just give us a call on�0800 227 973. Read more about our Auto Wreckers Auckland below the image. No matter where you are in Car Wreckers North Shore�Auckland, you can take advantage of our car removal service. It�s as simple as calling our removal team on 0800�227 973 and arranging a time for them to come to pick it up. You can also use the form on the right to book our free car removal service. Up to $12,000 instant cash for cars, Van, Ute & Trucks Today!! We pay the best cash prices for all types of cars. From late model vehicles to old or broken ones, you can rely on us for fast and easy cash for cars. We also buy trucks and light commercial vehicles for cash. You can find out more about our truck wreckers here. 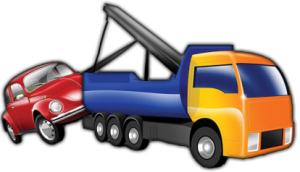 Cash For Car Removal Glenfield & Takapuna�Auckland� services!! Orewa Red Beach, Silverdale, Arkles Bay, Manly, Gulf, Harbour, whangaparaoa, Warkworth, Snells Beach, Dairy Flat, Albany, Torbay, Rosedale, browns Bay, Rothesay Bay, Coatesville, Riverhead, kumeu, waimauku, Rosedale, Forrest Hill milford, Glenfield, Takapuna, Devonport, birknhead, greenhithe, Beech Haven, birkdale, chatswood, Northcote, hillcrest, murrays bay, castor Bay, bayswater, belmont, hauraki.